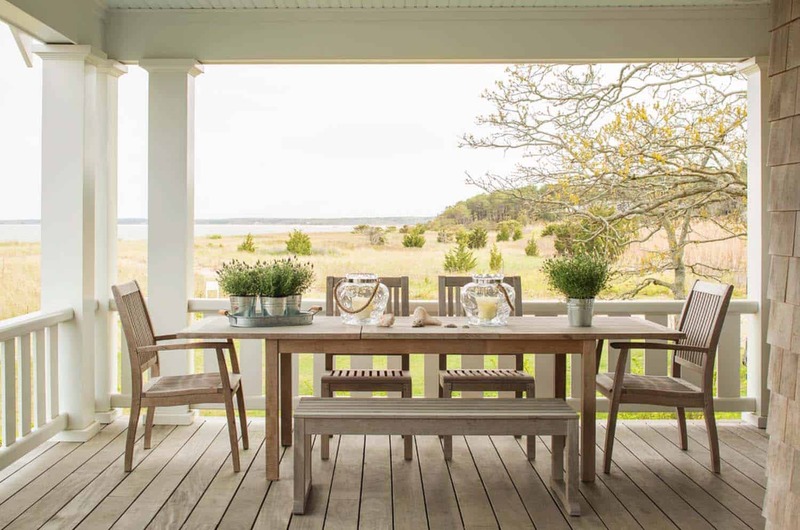 Vani Sayeed Studios was responsible for the interior renovation of this 1920s shingle-style beach house, nestled seaside in Oak Bluffs on Martha’s Vineyard, Massachusetts. 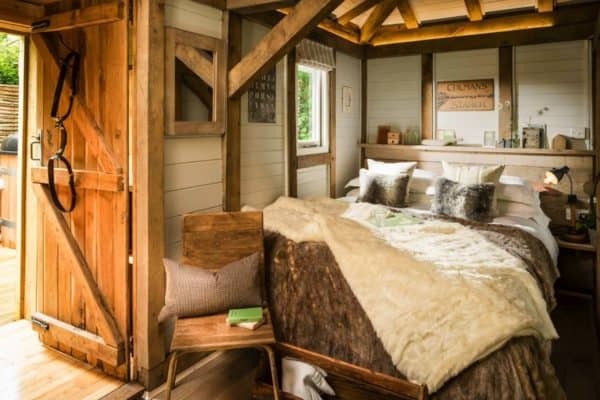 This is a vacation retreat for a young family, whose goal was to create a family-friendly design. 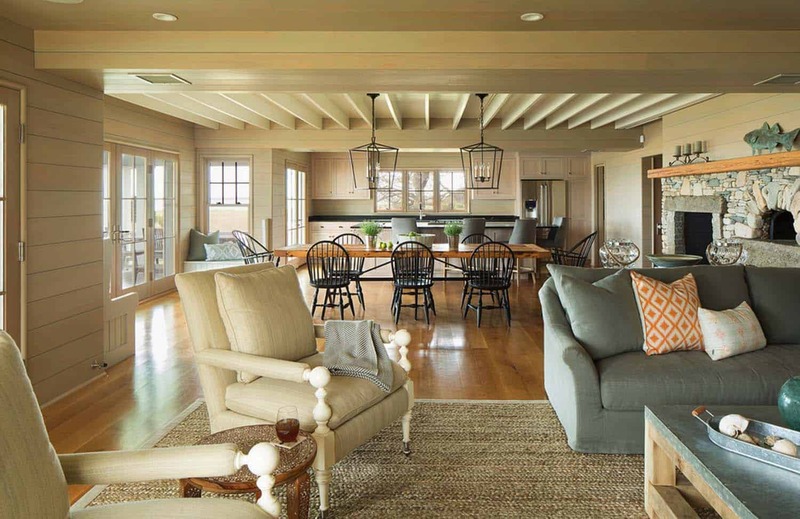 They wished for relaxed, casual interiors where they could enjoy family activities together. 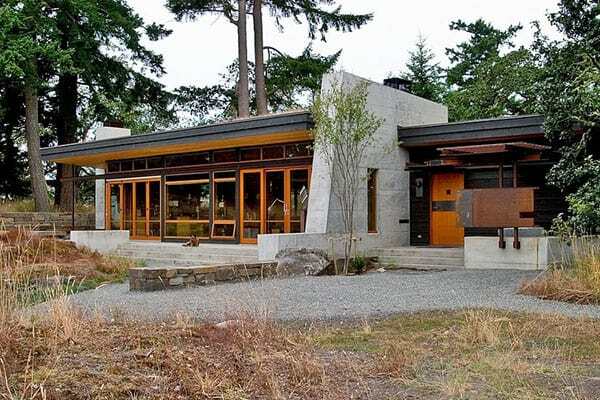 An great example of this low-key, practical design is in the living area pictured above. 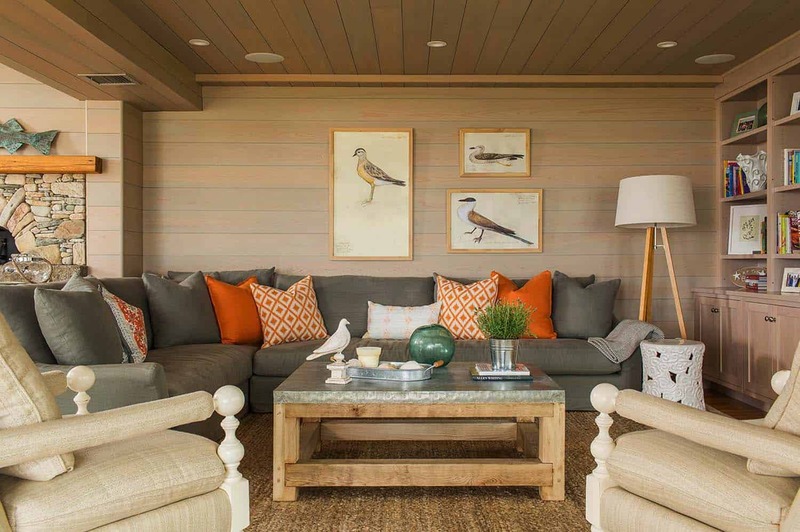 The designer adorned the walls with Bird prints sourced from Williams Sonoma. 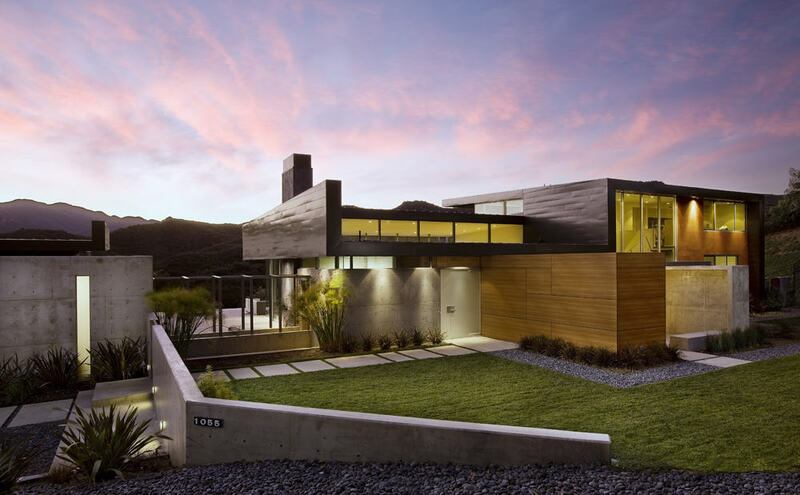 The designers were inspired by nature when they came up with the color and materials palette to decorate this home. 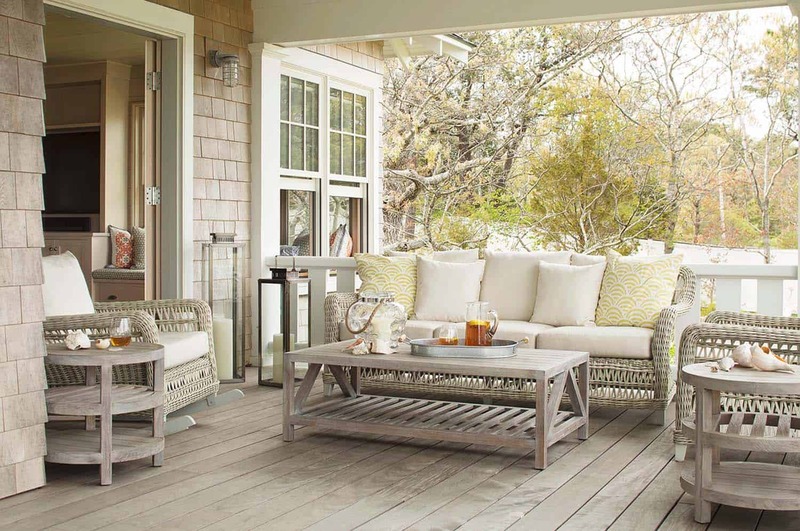 Throughout you will find a simple, relaxed vibe—exactly what you would wish for in a beach house. 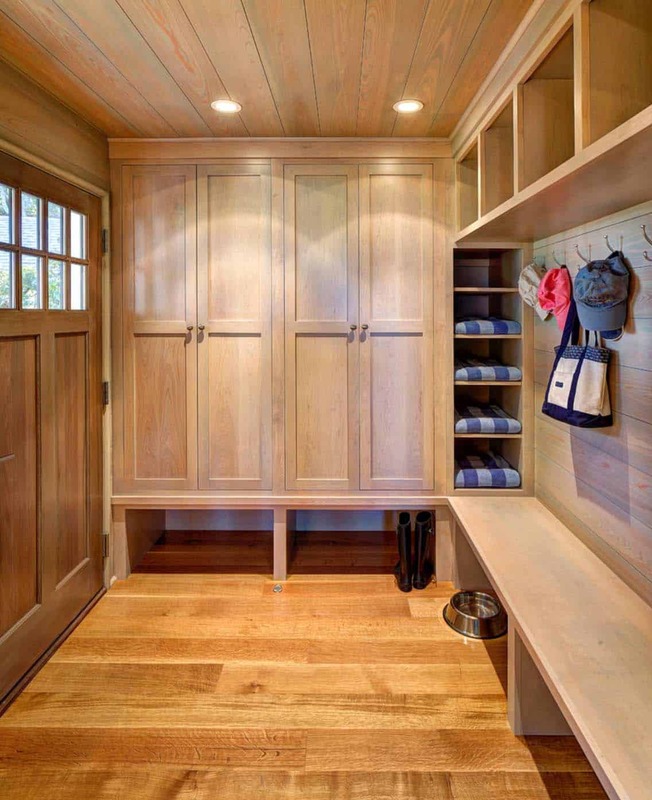 For example: custom cabinetry and built-ins in the living and kitchen areas have a gray-washed stain. The dining room’s original ceiling beams and bead board were preserved. 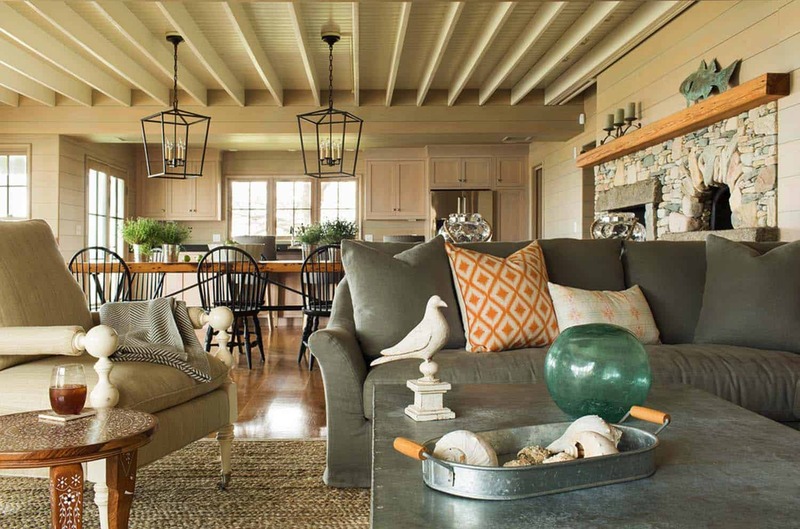 While in the living room you will find a casual slip-covered sectional and a tin covered, reclaimed wood coffee table. 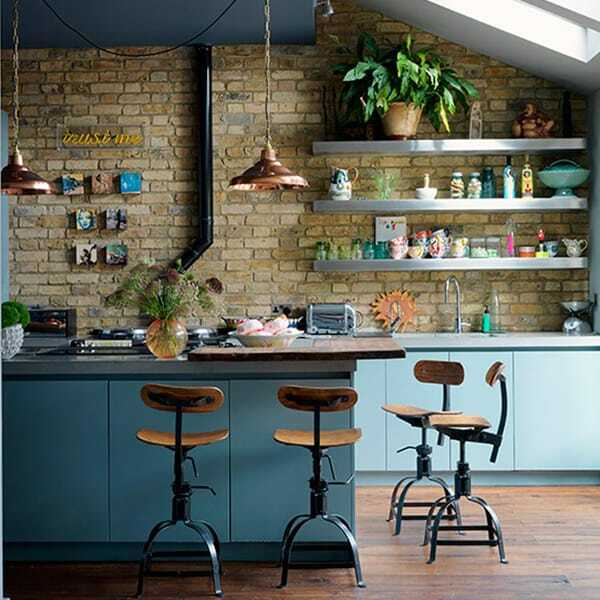 The finishes used in the design creates a pared-down tone for the space, creating a fantastic backdrop for the mix of modern and rustic furnishings. The designer opted for solid, timeless furniture pieces. 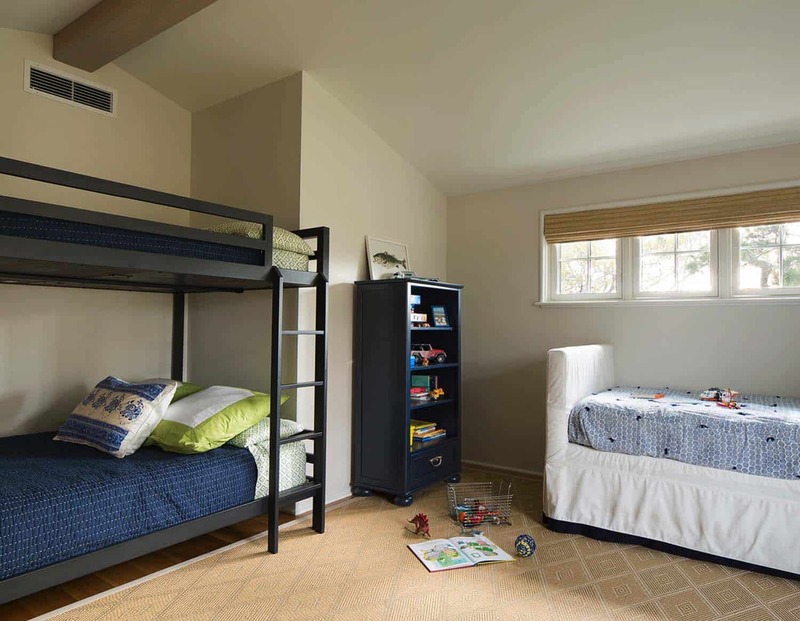 Comfortable gathering spaces were designed to entertain family and friends. All the while still focusing on family living, such as the built-in bench in the living room. It offers integrated, functional storage for toys and games. 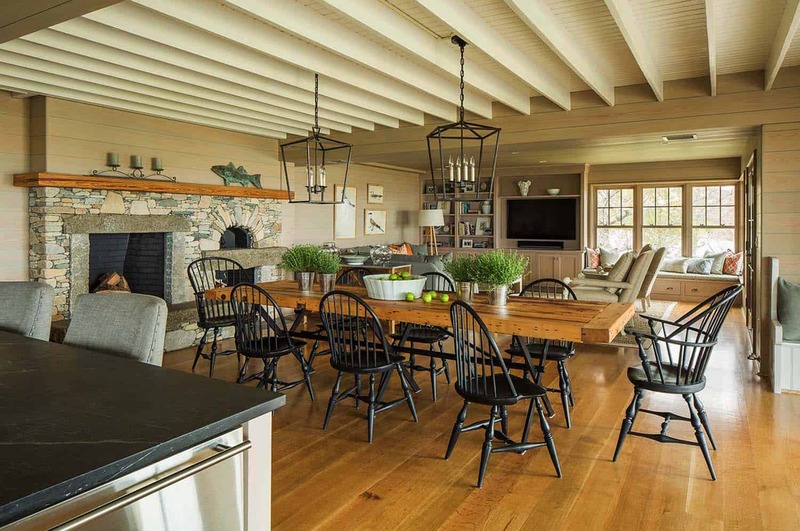 In the image above, the dining table was crafted from barn wood, set on a base crafted from a local metalworker. Set around the table are Windsor dining chairs, hand-crafted in a black matte milk-paint finish custom designed from 60nobscot. It provides a nice contrast to the rustic wood table. 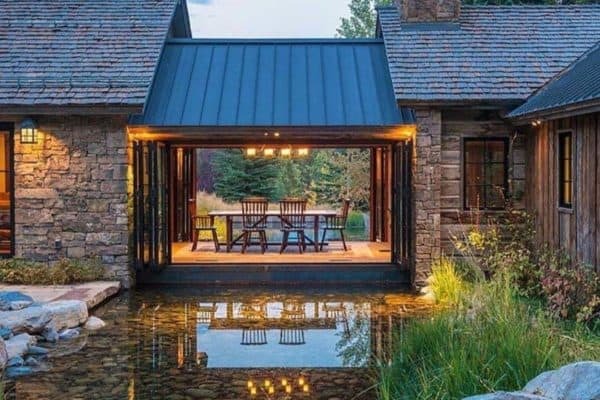 “This project is all about ease of use—such as the iron lanterns over the dining table that do not have glass panels to clean. Accessories with a global feel enhance the design. We brought back an inlaid side table from India to add a fanciful pattern in the living room” — Vani Sayeed Studios. Above: In the dining room area, a fireplace pizza oven was a top priority on the homeowners wish list. 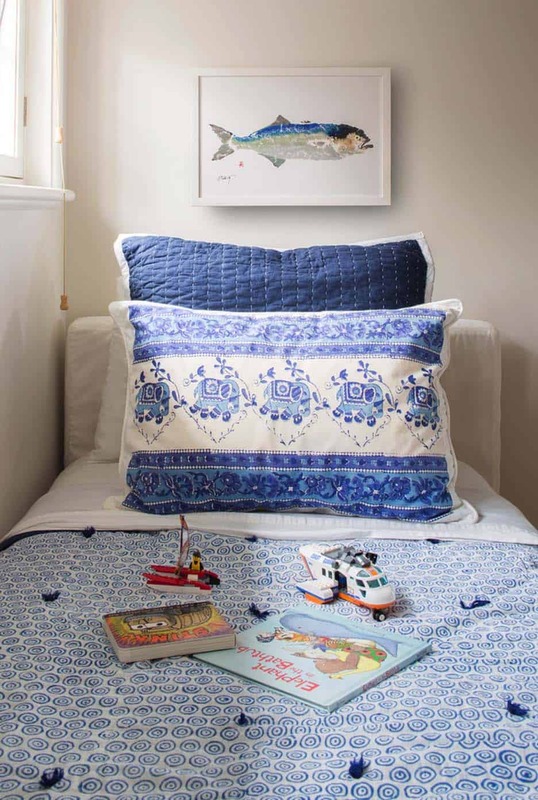 What We Love: This seaside home offers a wonderful mix of old and new that is stylish yet very family-friendly. 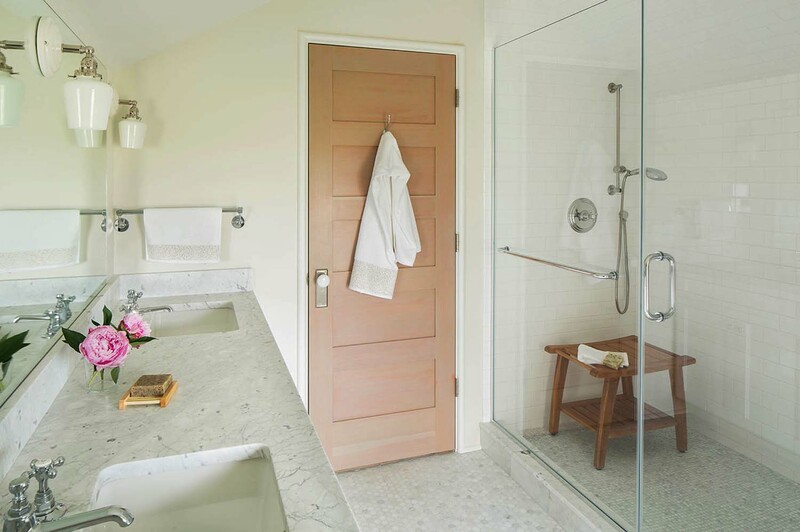 We love the relaxed, beachy aesthetic that is found throughout the interiors, it invites you to feel right at home. 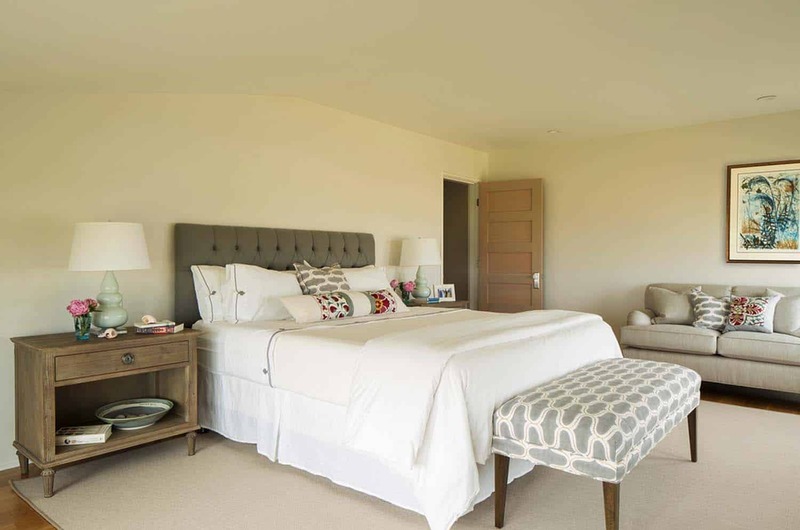 The layering of fabrics and materials adds warmth, while the neutral palette is very soothing to the eye. There is nothing super bright or showy that takes away from the chill vibe of island living. 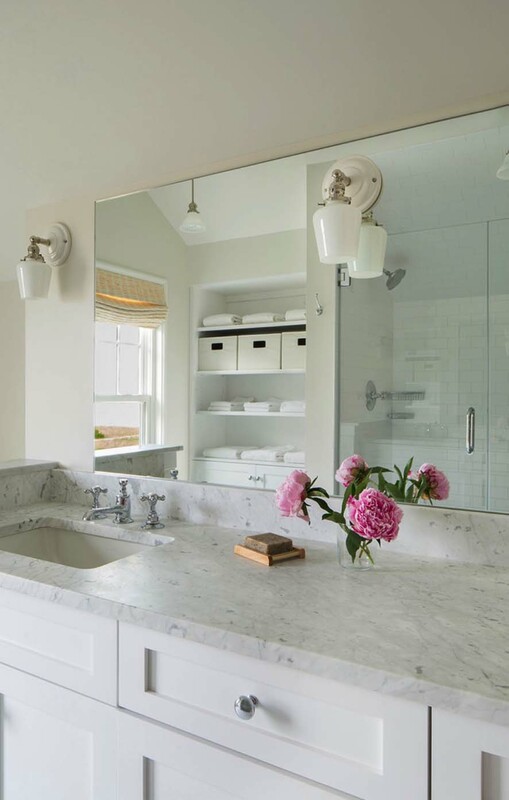 Readers, what features of this home do you like most? 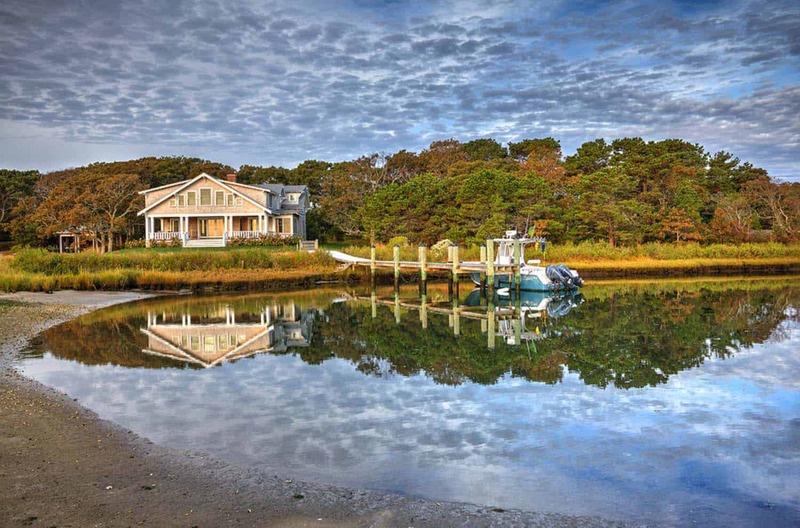 Could you envision yourself vacationing in this island abode? Please share your thoughts in the comments below. Above: A jute area rug in the living room adds a comfortable, casual vibe to the space. It also helps to the delineate the space, while adding visual texture. 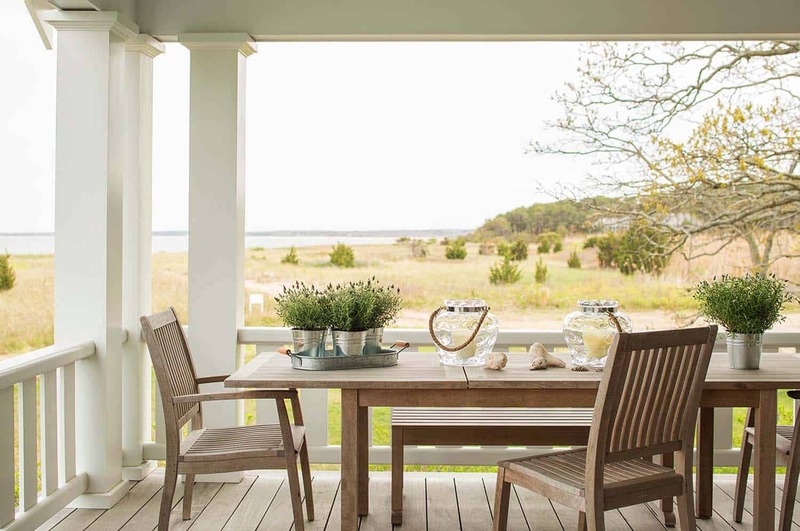 Above: The homeowners entertain guests at their teak dining table while enjoying views of Nantucket Sound. 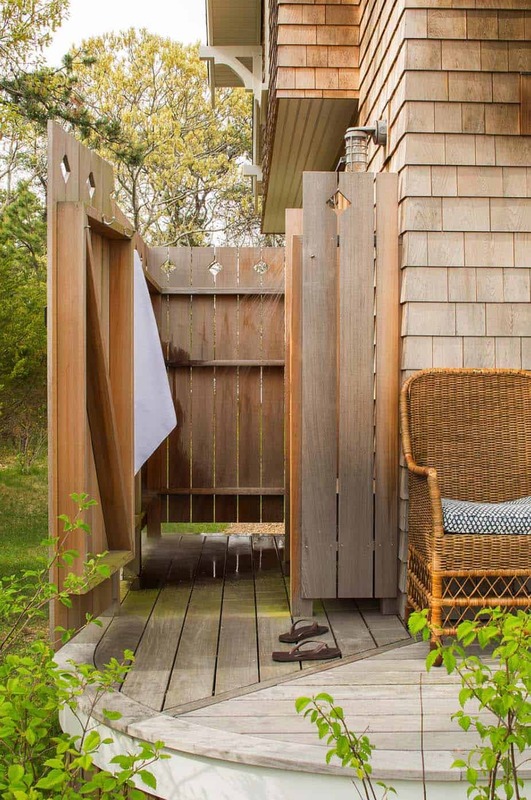 Above: An outdoor shower provides the perfect spot to rinse off after frolicking in the ocean.